'Twas on the morn of sweet May Day. 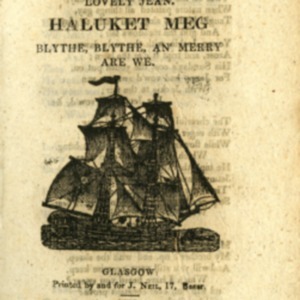 To which are added, Lovely Jean, Haluket Meg, Blythe, blythe an' merry are we. 4 Comic Songs. Rob Roryson's bonnet. The Auld Highlandman. My eye and Betty Martin. The Carle he cam o'er the craft. 4 Scots Songs. Hibernia's lovely Jane. 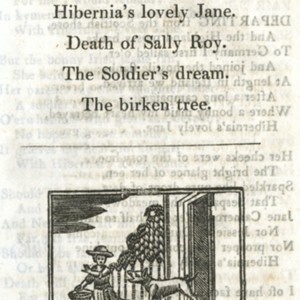 Death of Sally Roy. The Soldier's dream. The birken tree. 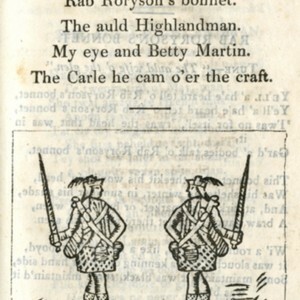 4 Scots Songs. Tak your auld cloak about ye. Sweet home. 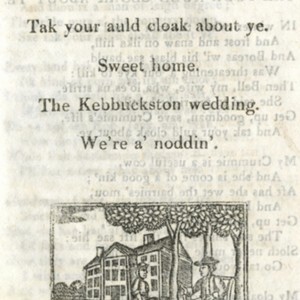 The Kebbuckston wedding. We're a' noddin'. 4 Scots Songs. When the kye comes hame. Come under by plaidy. 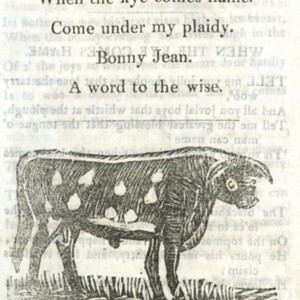 Bonny Jean. A word to the wise. 5 Comic Songs. Life in London. The Turnimspike. Bobing John. My love she's but a lassie yet. Looney Mactwolter. 5 Scots Songs. Death and the lady. 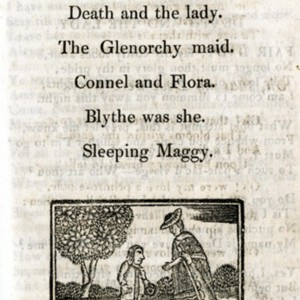 The Glenorchy Maid. Connel and Flora, Blythe was she. Sleeping Maggy. 5 Scots Songs. The Star of the East. 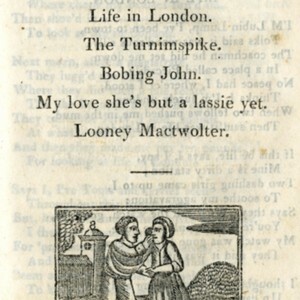 The bonny we thing. The waes o' the world. 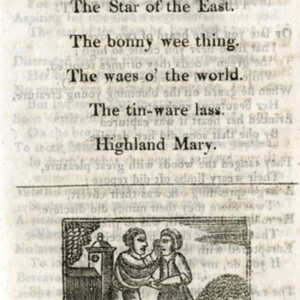 The tin-ware lass. Highland Mary. 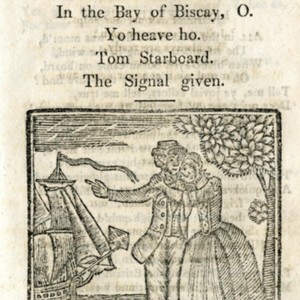 In the Bay of Biscay, O. 6 Scots Songs. Loudon's woods and braes. The banks of the Devon. My Nannie O. A Bachelor's Joys. 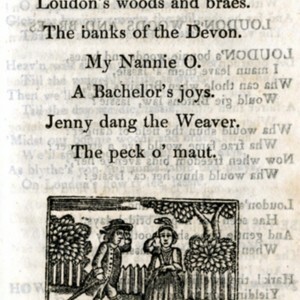 Jenny dang the Weaver. The peck o' maut.